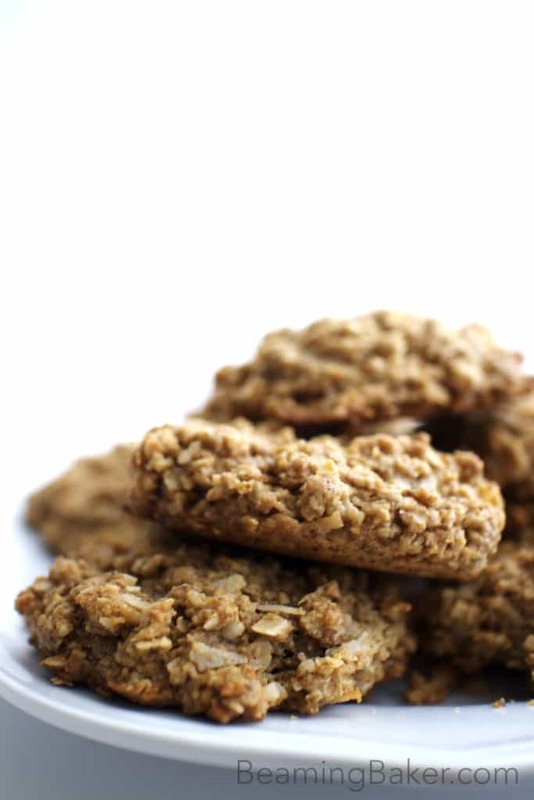 Crispy and crumbly on the outside, rich and decadent on the inside: the perfect vegan peanut butter coconut cookies to bring you back to the days of Chick-o-sticks and your grandma’s baking. 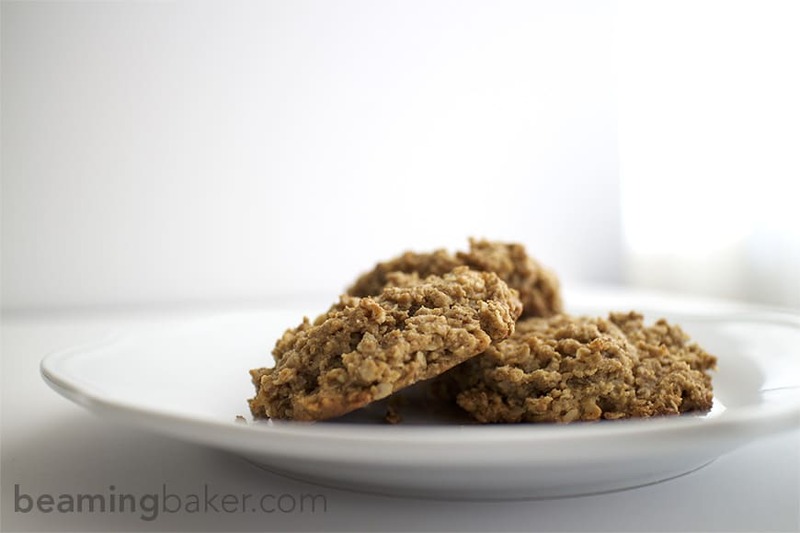 How did you come to be… my beloved, best vegan peanut butter coconut cookies? Well, the answer to that question is: not easily. Many moons ago, I embarked and failed on my journey to peanut butter cookie nirvana. Then, a few moons after that, I tried. Again. And failed. Again. Like, with a Captial F. The tricky thing about traditional peanut butter cookie recipes is that they’re deceivingly simple. I mean, how could some peanut butter, an egg, and sugar go bust? Well, many, many ways actually. I am now an official expert in how to make a simple, small amount of ingredients go bust. Those gosh darn, dagnabit, insufferable, simple three-ingredient peanut butter cookies seemed to mock me. And with zest no less! Plus, it probably didn’t help that I was trying to make a sugar-free version for my mom. Don’t even get me started on sugar free recipes. Just, don’t. Then, I decided to scrap the whole Traditional Peanut Butter “Easy” Not Really Easy Cookie project and just go on living my life. In peace, thank you very much. But just today, the clouds parted and the sun beamed so many beautiful things across the universe. And one of those things was these vegan peanut butter coconut cookies. I was fiddling around with my Peanut Butter Coconut Walnut Raisin Chocolate Chip Cookies (I could add more ingredients in the title, but then it might become wordy. Ahem.) 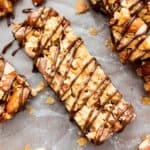 This recipe has just about everything but the kitchen sink in it. Heck, that sink probably did make at least a cameo. Hi Drain! How’s Sponge? Okay, this is starting to become unappetizing. Back to the point: I made that recipe specifically for my mom. It’s a longstanding joke between us that when I bake her anything, she will ask if “next time, you can add walnuts, raisins, strawberries, cranberries, almonds…” and just a million other ingredients. And then I get SASSY. I tripled, yep tripled, the peanut butter factor. Then, I said “good day, sir!” to the walnuts. And with exceedingly unnecessary amounts of flourish, I quadrupled the coconut. YUM. Now, with the wind in my sails, I dropped numerous superfluous ingredients like they were hot. Which… they weren’t because they hadn’t even reached the oven yet. No matter! I have wind! Uh… in my sails! Better yet, I figured I might as well make them vegan. Why not? 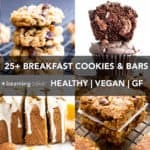 I’ve always wanted to make the healthiest food possible and veganizing recipes (properly) helps me to sleep better at night. I mean, my family eats this stuff. I want to do right by them, you know? Okay, after-school special done, soapbox stashed. What emerged was a glorious ode to cookies: golden-brown hills of crispy peanut butter love on the outside, and super-soft, nearly illegal levels of moist coconutty goodness on the inside. Is this what love tastes like? YES. Is that what happiness tastes like? ABSOLUTELY. And wait, what is love’s name? Vegan Peanut Butter Coconut Cookies. YAAAAS. 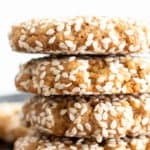 Afterward, we engaged in an intellectual (but not) debate about whether or not our two readers would get confused if I called these Streusel Cookies instead of Peanut Butter Coconut cookies. Then, we realized: oh geez, we’d only have to call Mom and Penny to tell them what we really meant. Ahem. But as you can see from the title of this post: I am the winner. Score! 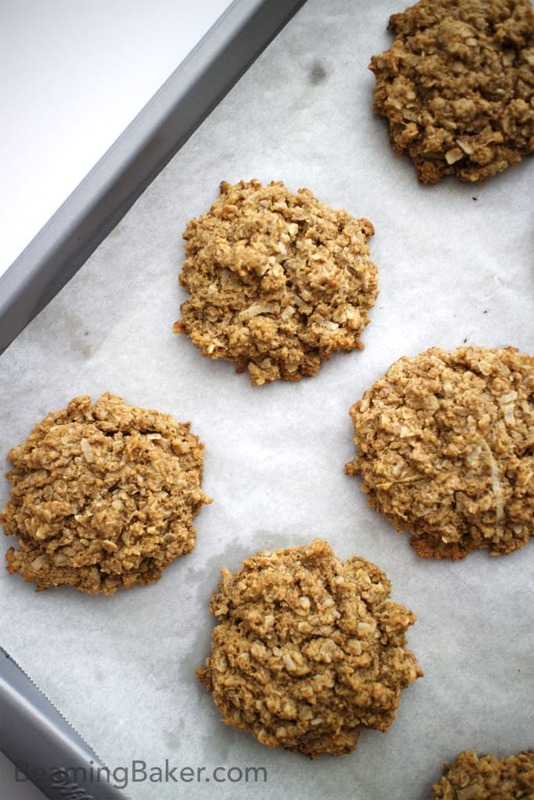 Now go win everything too by making these vegan peanut butter coconut cookies. 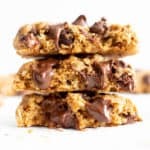 Crispy and crumbly on the outside, rich and decadent on the inside: the perfect vegan peanut butter coconut cookies to bring you back to the days of Chick-o-sticks and your grandma's baking. Preheat oven to 350°F. Line a cookie sheet with parchment paper or foil. Set aside. Add the dry mixture to wet mixture. Use a rubber spatula to thoroughly fold the dry ingredients into the wet ingredients. Scoop 2 tablespoon-sized cookie dough balls onto the cookie sheet, spaced evenly apart. You should be able to fit 8-12 cookies onto the sheet, depending on the size of sheet you’re using. 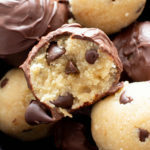 Press cookie dough balls down slightly. Cookies will not spread while baking. Bake cookies for 10-12 minutes. Check for doneness by gently lifting one cookie with a fork. If the cookie is crispy and a caramel color on the bottom, it’s done. These cookies will be very soft when they’re done. Cool on the cookie sheet for 10-15 minutes, this will allow the cookie bottoms to harden up a bit. Then, if you prefer, you can move these cookies to a cooling rack to finish completely cooling. Store in an airtight container for 1-2 weeks. Enjoy! 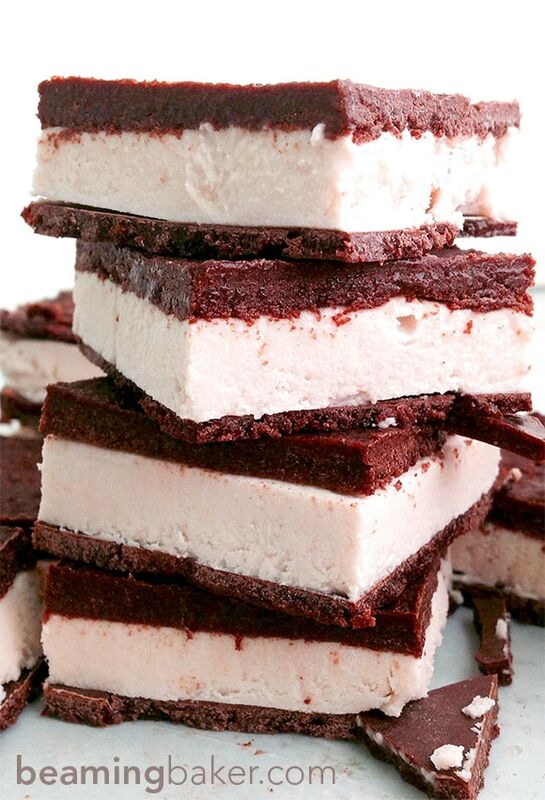 If you just love chocolate shell and ice cream sandwiches, try my Vegan Chocolate Shell Ice Cream Sandwiches! What’s your favorite peanut butter treat? 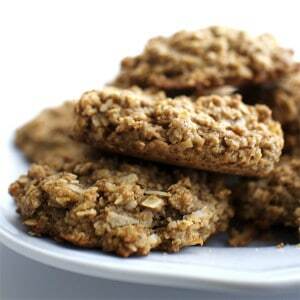 Which of your grandma’s cookie recipes is your favorite? WOAH I love this post. And these cookies!! 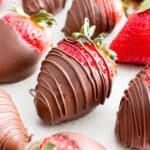 Making them ASAP. Thanks girl! 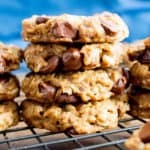 Now how about those peanut butter coconut walnut raisin chocolate chip cookies?? 😉 Did you ever post anything for those? I made them, and I got 25 cookies out of the batter (hooray for extras)! They were AMAZING. 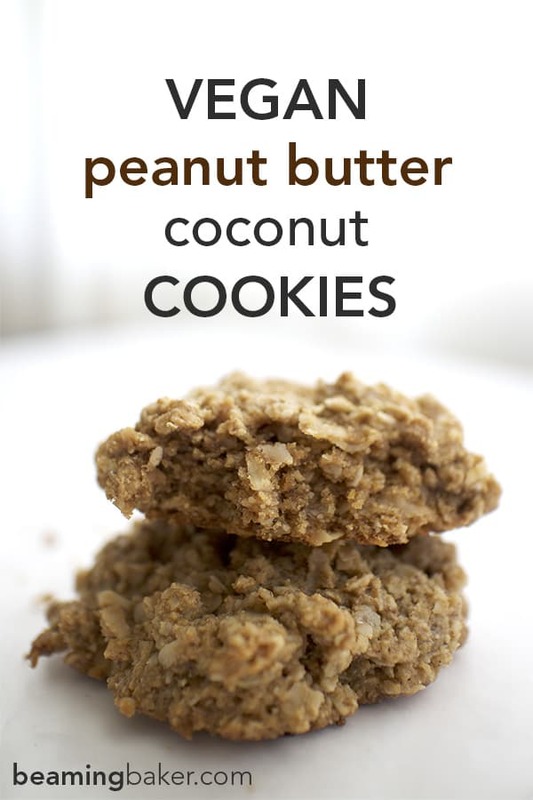 They’re actually the BEST coconut peanut butter cookies ever! Thanks so much for such a good recipe. There’s a picture on my Instagram- they’re flatter than yours since I really squished them down, but they still taste incredible. I’m so happy I made your day because these cookies made my day yesterday! Hey, it’s better to be too generous with the scoop than not generous enough! And to be honest, there was at least 2 cookies worth of batter that didn’t make it into the oven… hehehe. YOU’RE the best! I can’t wait to try more of your recipes. 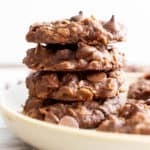 I think I’ll start with your most recent chocolate coconut cookie post- yum! Oh, for sure! 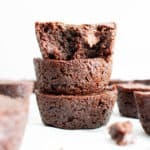 That's probably the best part about vegan baking: you can eat the batter! I mean, really though... you HAVE to eat it for quality testing purposes. Right? Haha. Thanks Ellie! 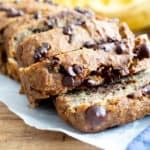 The double chocolate chip coconut cookies are my FAVORITE! I really love those, so I hope you do too. 🙂 Big hugs!